Looking into week 12, our #1 QB for the week, which did come as a surprise to me, given the defense that he opposes, it is Tom Brady. In fact, he is our #AbsoluteMustHave for both FanDuel and DraftKings this week. The Denver defense isn’t anything to shrug your shoulders about and they did make Aaron Rodgers look awful in Denver just a few weeks ago. That said, things have changed quite a bit since that Sunday night game. The Patriots are 10 – 0 with a MASH unit and the Broncos are playing with their backup QB and have lost 2 of their last 3 games. The key to this matchup is going to be Gronkowski. For the first time, on Monday night, I watched a defense actually be able to contain Gronk but I’m not sure that the Broncos have the defensive backs to hold the seem route. The fact that Osweiler is going to be QB, I suspect Darth Bill will have a specific game plan for him and put Brady on a short field more often than not in this game. Brady’s projection on DraftKings is 25.18 and 22.27 on FanDuel. Moving onto our #AbsoluteNotable for week 12, we have Matt Ryan topping this list for the first time on DraftKings this season. It is crazy to think that the Falcons were once 5 – 0 and since then have gone 1 – 4 and looked absolutely pitiful. They turn the ball over in the redzone every single game and that is largely due to Matt Ryan. He also through a pick 6 from the 3 yard line last week that ultimately cost them the game. All that being said, this is daily Fantasy, not the NFL and so Matt Ryan has put up solid numbers and he has the best WR in the game in Julio Jones. The Vikings got torched by James Jones last week so that leaves no reason to believe that they will be able to stop him in any manner this week. 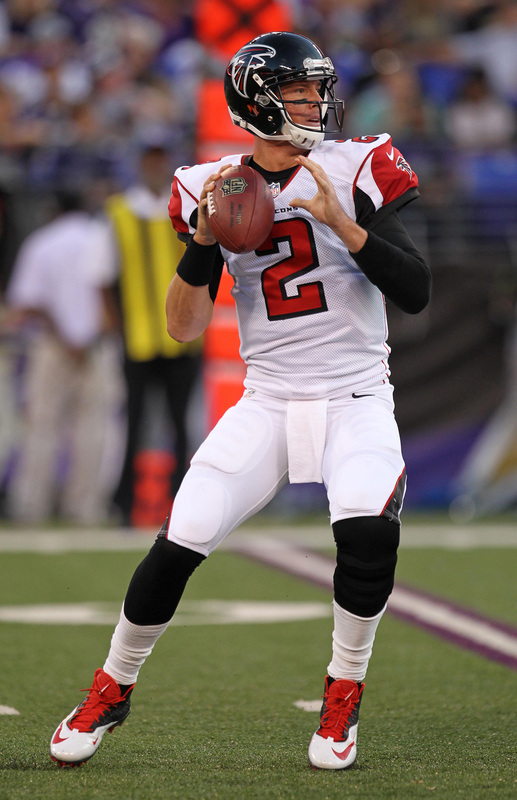 Look for Ryan to put up 312 yards, 2 TD’s and 0 Int’s this week in a solid victory as the Falcons make a push for the post season. If they lose this one, they are done and won’t win again in 2015. As for FanDuel we have a sneaky play with the news of Manziel being demoted coming out today, our #AbsoluteNotable is Josh McCown. Look this guy has been huge this year and they get to play against the terrible secondary of the Ravens on Monday night. He will be owned by less than 10% of the field in all contests and this also means that look for Gary Big Game Barnidge to play a huge role for the Browns. In games where McCown has played, Barnidge scored in 6 straight contests and was leading the NFL in TD’s through week 8. In our last segment we look to give you the #AbsoluteSleeper for the upcoming week and this week on DraftKings we have, Josh McCown! I have already explained why this is a great play this week and that is largely due to the matchup and the percentage of ownership this guy represents. I suggest building a lineup around him as his $5,000 salary and potential to get you 25+ Fantasy points, he is a must play in at least one lineup this weekend. 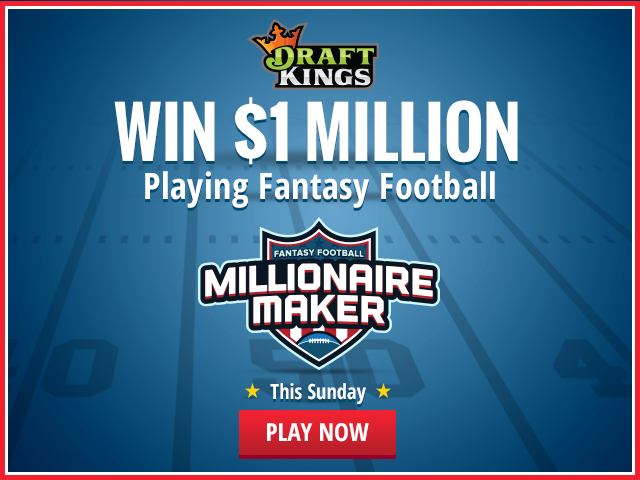 For FanDuel we have Stephen Gostkowski this week. Yeah, I said it, Gostkowski a Kicker makes this list. The reason for that is because all this guy does is score double digits each and every week. He plays at Mile High this weekend where, kickers come to parish and look for another 3 FG performance as he puts up 14 points. Did you know that Gostkowski has outscored 4 teams WR’s for the season, pretty incredible! My #1 sleeper for the upcoming week TJ Yeldon with a salary of $4,800 on DraftKings, this is a strong play and will allow for you to take Peterson against the Falcons this weekend. Yeldon has also had consecutive games of over 20 touches and he gets the Charges 32nd ranked defense against the RB position this season and coming off 3 rushing TD’s last Sunday against the Chiefs. For FanDuel, Yeldon is only $6,500 which the average cost of an RB on FanDuel this season has been $7,300 so he is below cost and should have at least one TD this weekend. Get your full FanDuel Absolutes report for week 11 here. Ger your full DraftKings Absolutes report for week 11 here.